All successful real estate agents know that if they want to succeed they must find a way to build trust with prospective clients. In real estate one of the best ways to develop a trust-based relationship with clients is to be introduced to them by a mutually-trusted party. Simply put, people are much more likely to give you their business if a trusted source has told them about a positive experience working with you. A client referral program is one of the best ways to save money on marketing and advertising costs. The incentive you offer to current clients to refer you to future prospects will come back to you many times over. And as your network of satisfied customers grows, the greater impact on your marketing budget will also be evident. A recent study put out by the Wharton School found that referred customers generated 16% more profits than their non-referred counterparts. 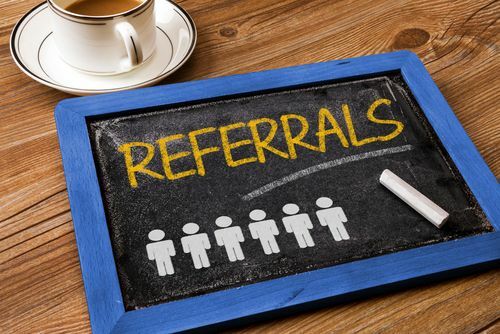 Offering incentives for loyal customers to talk about your business can pay significant dividends, as this type of word-of-mouth marketing will generate far more interest in you as a real estate agent over any other method, including cold calling. Also, referred customers have been shown to be more willing to pay a premium for services from someone they trust. When the prospective client is essentially already sold based on their trust in your client, you can see a greater profit margin through higher selling prices and commissions. The same Wharton study found that client referrals are also 18% more likely to stay with your business. When they took into account the higher profits and great loyalty of referred customers, researchers found that the lifetime value of a referred customer can be up to 25% greater than a non-referred customer. If you’re a real estate professional, in what ways do you agree or disagree with this research?